A successful pharmaceutical product launch and subsequent digital amplifications to bolster community growth and reach. 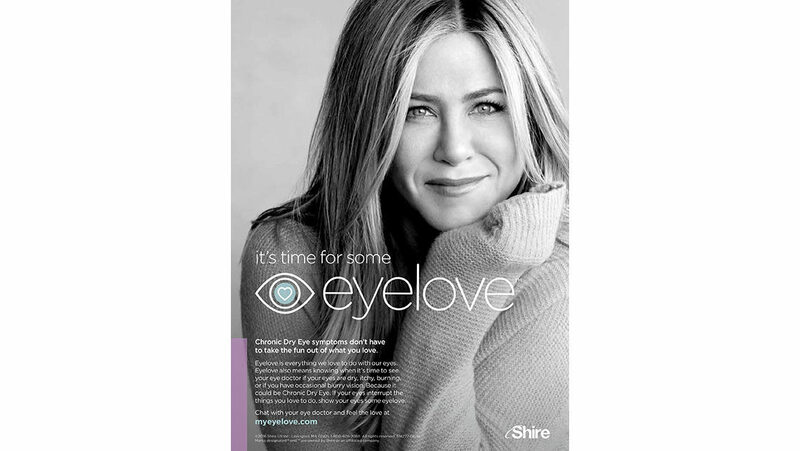 By partnering with influencers and celebrities across a wide spectrum of demographics including influencers in the beauty, health, and wellness spaces along with the face of eyelove Jennifer Aniston, we launched a digital campaign to incite potential consumers to show their eyes some love. The project focused on building a narrative of eye care, celebrating diversity of beauty, and thriving through wholesome health. The campaign included a technology centric call to action, inviting users to create their own 3D personalized eye art mosaic through the client’s website, generating site traffic and a strong social imprint. Subsequent digital amplifications highlighted the brand’s partnership with The Oscars and People Magazine, merging the world of red carpet fashion and celebrity style with health conscious eye care.